Poll: Who had the best first rehearsal at Eurovision 2017 on May 2? FYR Macedonia’s Jana Burceska took us to downtown New York. Austria’s Nathan Trent straddled the moon. And Ireland’s Brendan Murray tried to fly in a giant metal balloon. And they were just three of the nine acts who had their first rehearsals at Eurovision 2017 on Tuesday. But who among today’s acts — Serbia, Austria, FYR Macedonia, Malta, Romania, the Netherlands, Hungary, Denmark and Ireland — stole the show? You can watch our reviews of today’s first rehearsals in the playlist below — and our “winners and losers” of the day video. Then vote in our poll. You can vote for as many countries as you like, but you can only vote one time, so make it count. Be sure to click the box next to each act you want to support before pressing submit. Poll: Who had the best rehearsal on May 2? Malta was the besf by far. great ballad. 12points. Ireland really surprised me with how lovely the performance clip was – and we haven’t even seen the full performance yet. I think once we see and hear the powerful second half where he hits those high notes and the choir comes in, it will elevate to another level. For me Ireland, Greetings from Azerbaijan. The Netherlands won’t even qualify, I don’t see the point of so many useless votes in this poll anyway…. hahahaha, of course they will! SWEDEN “I can’t go on”. I’ve listened to all songs for about a month now and these songs will be deleted off your playlists by the end of the year. Real artists with real songs that will last the test of time. These songs deserve to win. Go Ireland and The Netherlands, even if the trolls voted for their country, so what? Is good that they care about their own song and it’s more than can be said about some countries. Welcome to the wiwibloggs comments section, you’ll get used to all that eventually. many are voting for their own country and is fine, that shows the popularity of wiwibloggs in that country. is not stealing, but it shows the traffic from that country on wiwibloggs. Well I don’t invent numerous nicknames just to support one act… nor do I vote all the time for the same acts over and over again, as many people do. Welcome to the Cucu Land….I wouldnt be surprised if these cry babies will accuse the Betting Odds in being hijacked by trolls. Quick question: Is the website currently supposed to not show any images (thumbnails) of the articles? All I see is the titles of the articles ever since Sunday. Am I the only one? If I recall it right: It’s around this time that Wiwibloggs experience a huge surge of visitors so in order to prevent the site from crashing, images from the home page were removed for now in order for the site to load faster. This poll Is nothing 2 compare with the last night`s! Look – Armenians voted 2,609 times for themselves! Best rehearsal is from The Netherlands. This is going to do very well! This could be a big surprise on 13 may! Netherlands bloody well slayed. I hope they are in the top five along with Hungary! My personal top 3 was Romania, Malta, and Austria today. Two out of three in the press poll ain’t bad. I think Romania, Austria, Hungary and the Netherlands will make it to the Final eventually. I have a feeling 6 from the second half will have a fighting chance to go through as well: Norway, Switzerland, Estonia, Israel, Bulgaria, and Belarus. Hope they have a good rehearsal tomorrow, along with Croatia, San Marino, and Lithuania. Hands down, Dihaj was clearly the best by far. The stage, the costuming, the live vocals… This girl can win it. My personal Top 5 of 2day in random order are: Hungary, Malta, Austria, the NLD’s and Romania!! I don’t think that the rehearsal video encapsulates what wiwibloggs are saying about Malta. I really think that Claudia is gonna surprise, this could really qualify and I hope it does! It was my 2nd place for the day. Anja from Denmark may be the better singer, but Claudia from Malta does a better job emoting the song. Let’s see the 2nd rehearsal changes things. Realy looking forward to tomorrow! I’m curious to see what Croatia has to offer! I also want to see my beloved Switzerland and Estonia perform and it’s interesting to see what Bulgaria is about to do on stage! I am mostly curious about Croatia, cause Jacques is the only performer without a single live. The live will make it or break it. I can honestly expect Jacques to win the press vote tomorrow or to finish last with zero points. It is so heartwarming to see all the support Austria gets! I really hope the actual results reflect that! Ireland is my second favorite and I voted it too, but when a country suddenly starts rising so much, it’s usually a sign of trolling and staging. Pity, cause now we can never know how much *actual* support does Brendan have. I love his song and staging tho! Austria/Nathan is such a positive surpirise. By far the best perfomarance of today. Nothing really impressed me today! However, big growers are probably The Netherlands and Hungary, as I wasn’t a big fan of “Origo” before! I also want to say I was pleasantly surprised by Austria and I’m confident they will have a much better 2nd rehearsal! Yes indeed. I can’t take the amount of votes for the Irish entry serious. The rehearsal wasn’t that good. There has to be a poll for these nations called “The best hijackers”. Let’s see who will win then. If your favorites would have been high in polls you wouldn’t say the same mambo jambo, right? Take the poll of the press for those 3 days. Armenia, Romania, Moldova and Poland were good ranked. What does that mean? The journalists are all trolls? What about the betting odds? 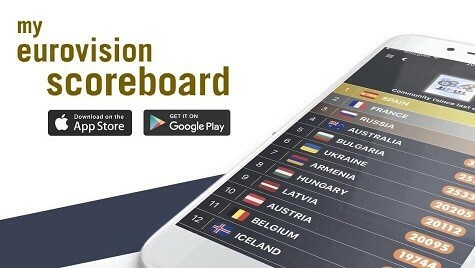 Armenia and Romania are in top 10, Poland in top 11-20, Moldova and Ireland are even lower. What does that mean, the betting odds are hijacked, too? Damn… Get a life! Austria and the Netherlands were winners of the day. A man standing in a crescent moon was to me the strongest image of the day. Very simple, almost childish, yet audacious and grand. It will be a very special moment indeed if they can pull it off. Romania made me smile. Can’t wait to see the whole thing. The rest is difficult to comment on without proper context. Ireland for instance looked very goofy. So not u Ireland ?? Clearly Romania, the others were okay mostly. Yesterday and today overall were a bit underwhelming in my opinion, I expect a lot more from tomorrow (some amazing entries in there, like Belarus, Bulgaria, Switzerland, Israel, Estonia). Day 1 was clearly the strongest so far. Loved the makelovenotwar cannons. 🙂 Romania rocked the stage today. Netherlands by far, they nailed it! Austria, Romania and The Netherlands were the best today. My favourite songs from this line up is Denmark and Serbia. However my favourite rehearsals today were Austria and Romania. They’re both so bright and colourful and will stand out from the rest for sure! I keep humming Netherlands all day. I dont know why, but since 2013, Holland is consistently one of my favourites. Slow Down was a great song! Most people agreed on that, so your opinion only represents a minority. Sorry.